You are at:Home»Blog-News U can Use»Are You Ready for Some . . . . . . Shopping ? Are You Ready for Some . . . . . . Shopping ? Sorry, sports fans, we are NOT going to talk about Football today. What I am going to write about is the rising inventory levels and significant supply chain issues that are troubling Macy’s and other major retailers as we enter the holiday shopping season. When I think about the long holiday hours, the overstuffed shelves, the obnoxious number of coupons / promotions / blue light specials, etc. from last Christmas I cannot imagine it getting any worse BUT it is about to. According to Sourcing Journal, Rising Inventories at Macy’s and Other Major Stores Fuel Holiday Profit Worries, “In the first quarter, which ended May 2, the company (Macy’s) blamed the higher-than expected increase in stock levels on the resolution of the West Coast ports slowdown and the weaker-than expected sales, particularly in high tourist traffic markets hit hard by the strong dollar.” In the second quarter there was another uptick in inventory levels which was attributed to “bringing in merchandise earlier than last year to get better set for back to school.” By the way, Dillard’s and Nordstrom are experiencing some of the same issues as are mid-tier stores like Kohl’s and even the off-price leader TJX Companies. Retailers are in a conundrum; needing to determine the appropriate levels of inventory in an environment of declining sales. “ . . . for the older missy mainstream consumer (I think that’s me – urrrggg), who do most of their shopping in department stores, there isn’t a compelling style trend motivating them to buy.” Demand this year was clearly mis-planned. Too little inventory means stock outs and the potential to lose customers forever, while too much inventory translates into deep discounts and lower margins. Does anyone out there remember The Beer Game? So, can we expect mega-sales from every fashion retailer this holiday or has someone cracked the code? In “Fast Fashion Decoded: What Makes Zara Different?” we learn about a company that is a major disruptor in the industry. What makes Zara unique? According to John Thorbeck, chairman of Chainge Capital, Zara has developed an entirely new business model which translates into “. . . more full-priced sales, lower inventory and significantly improved cash flow – better than any other company in the fashion space.” Unlike many of the retailers noted above, the company produces its own garments – about 450 million items a year. To achieve this, Zara controls more of its manufacturing and supply chain than do most retailers. In fact, its supply chain is its competitive advantage (see – it does happen 🙂 !). Zara also uses postponement as part of its supply chain strategy which is rarely used in the fashion industry. Postponement is delaying the transformation of a product into its final form until the last possible moment. 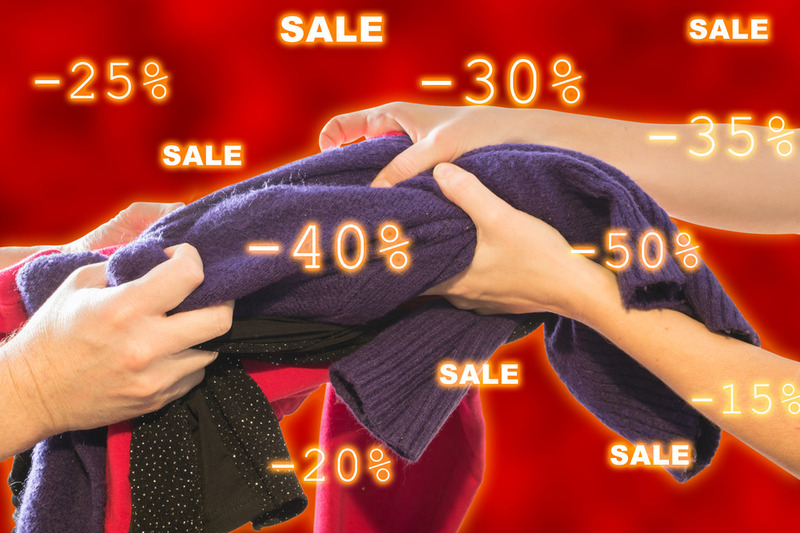 Since demand for apparel and other fashion-driven products are difficult to forecast, this strategy has helped keep both markdowns and stock outs low. I think we are in for another holiday season of deeply discounted merchandise, especially from the large fashion retailers. While many of the Macy’s type stores could not fully adopt the Zara model, there are certainly lessons that they can learn and adopt. If the predictions for 2015 are accurate, they may not have a choice. Let us know what you think and join in the conversation . . . . . . . . . .
Next Article Low Information Buying Process = Significant Stakeholders Desired Outcomes (SDO) Erosion!